Ivonne Millán is a Human Rights Lawyer at DRI’s regional office in Mexico City. She has a Master’s degree in Women and Gender from Universidad de Barcelona in Spain, a Master’s degree in Human Rights from Universidad Carlos III de Madrid in Spain, and a Law Degree from Universidad Latinoamericana, Mexico. Ivonne has carried out legal work at Mexico´s Ministry of Interior, the Attorney General’s Office and the Supreme Court of Justice. She has also worked on immigration rights and been a legal advocate for elderly victims of domestic violence. 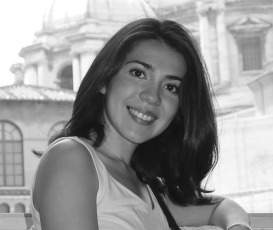 Ivonne has published academic articles in Mexican and international journals. Ivonne has a special interest on children issues and education. While working in Ireland, she volunteered at an NGO where she helped children to develop their creative writing skills and this year she started her own human rights project in a secondary school in Mexico to teach teenagers more about women’s rights.